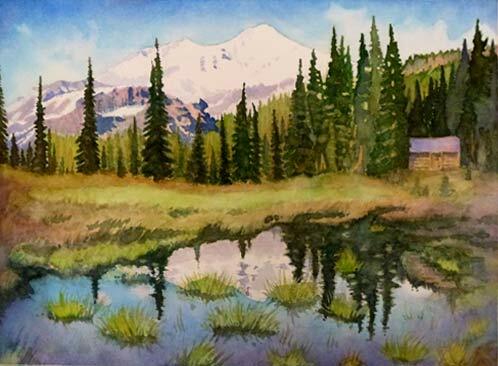 The Northwest Watercolor Society has a new show in its gallery at the Seattle Design Center celebrating light in watercolor painting through July 28, 2012. 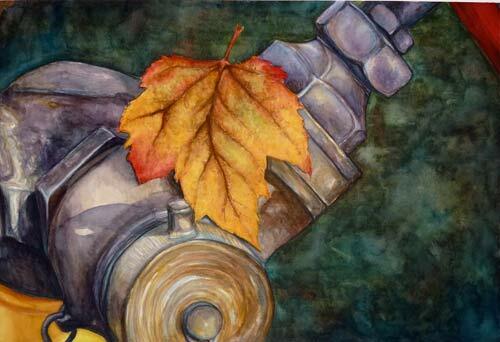 As a member I have two paintings in the show that were done early in my watercolor practice. 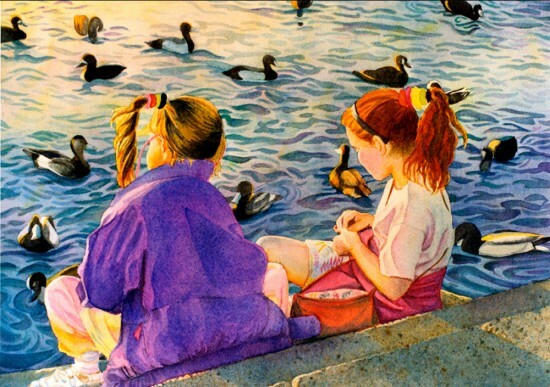 Feeding the Ducks not only shows a companionable scene at Green Lake of 2 young friends, Shayla Miller and Molly Yoder-Williams, but a brilliant display of light across the water. 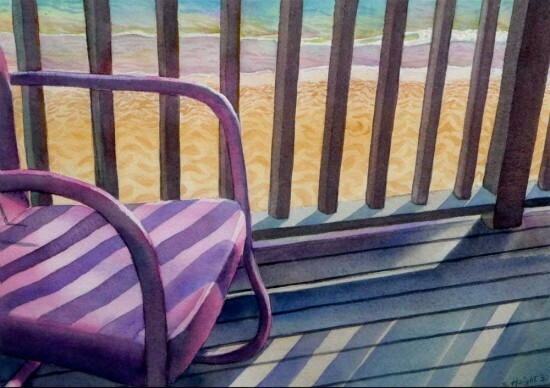 Light implies shadow and the painting of my deck was all about the pattern of the shadows cast by the railings. My back yard wasn’t really a beach, but I wished for that so I substituted the ocean and sand for grass, fallen leaves and garage siding in Dream Deck. Mondays through Fridays, 9:00am – 5:00pm, through July 28. 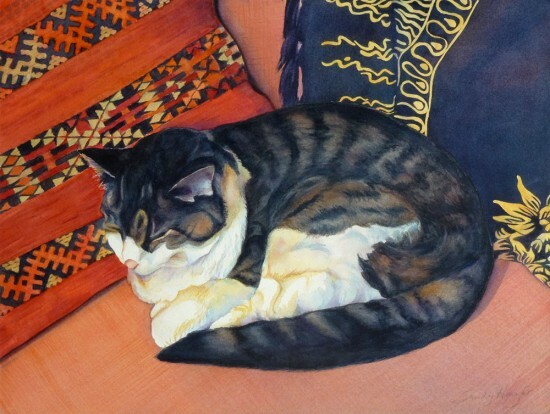 My Ozzie the Cat painting was juried into an art exhibit at the artEAST Art Center in Issaquah, WA called Creature Comforts featuring art of pets. She’s even represented on the announcement for the show linked HERE and shown below. 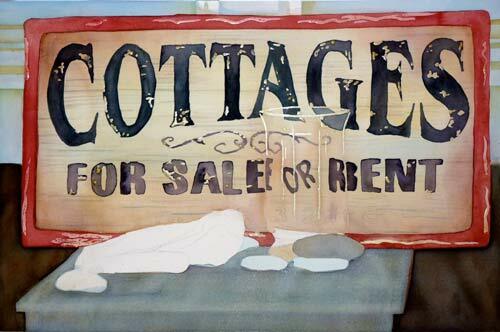 I’ll be at the reception on Saturday May 26, 2012 in the 95 Front Street North gallery from 6pm -8pm. The show will continue until July 17 with several pet related activities. Cheers to pets of all kinds! Here comes a wonderful series of events celebrating the heartfelt connection between person & pet! The bond we feel with our animal companions is among the strongest of all our relationships. Deeply loved creatures make us rich beyond measure. 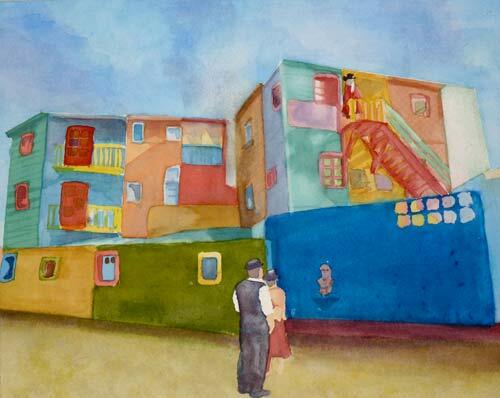 Join us for a series of art experiences centered on the theme of our upcoming exhibition. Families with school-aged children who are learning to read or developing greater confidence to read well are invited to come and read to established “Reading with Rover” trained dogs and their handlers. The dogs all promise to be calm and compassionate listeners, so please bring readers with the capacity to sit and read quietly with the dogs, library rules apply. 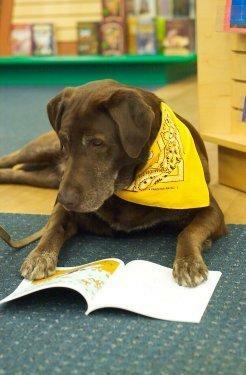 To learn more about the “Reading with Rover” program, go to Reading With Rover. 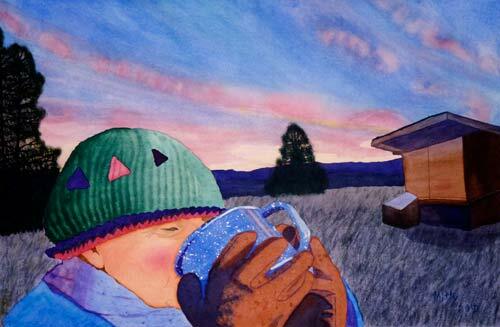 Visit the gallery and see the show with your own pup! 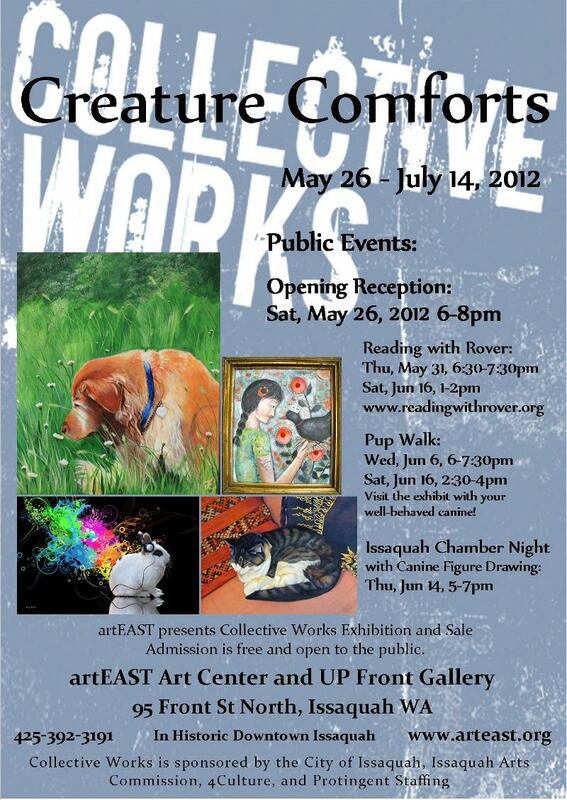 Gallery guests may bring in well-behaved and leashed dogs during these posted times. Pups who have tails that break also have owner’s that buy. For pups with energetic tails, the back entrance will also be available for access to the show. Join artEAST’s own premier figure drawing group for a “Canine Figure Drawing” studio session. 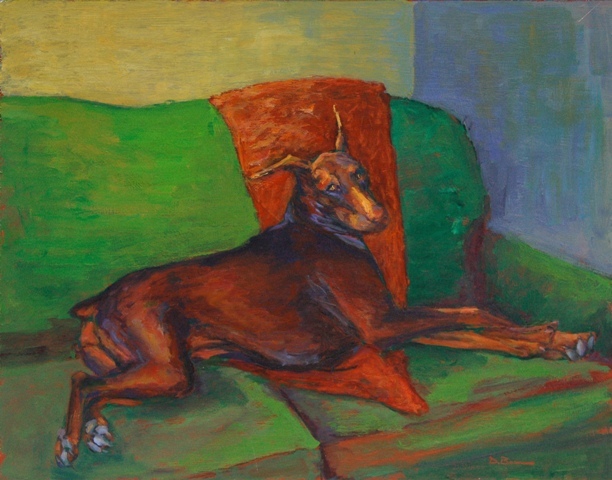 Guided by instructor Ellen Borison, members of the group will be drawing an established set of dog models. The event is open to the public.